Awana exists here at Calvary Baptist Church to evangelize the spiritually lost boys and girls, 4years-6th grade, of our community; to equip young believers in their walk with Christ through Scripture memory and lessons from God’s Word; to encourage our people to put their trust in our Lord and serve Him. But, most of all Awana exists to exalt God by holding forth God’s truths. AWANA is held at CBC on Sundays from 6-7:30 PM during the school year. Our mid-week fellowships are for the purpose of encouragement from studying the Bible, praying together, and keeping one another accountable in day to day living between our gatherings on Sundays. Groups are available for men, women, and teen boys & girls. If you are interested in one of these groups, please contact the church office for more information on locations and topics. 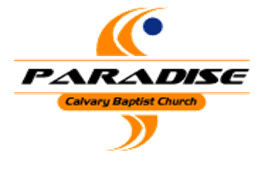 P aradise is the teen ministry of Calvary Baptist Church. Combining both Junior and Senior High, Paradise is a safe place for teens to come build a relationship with God and others. We desire to connect with teens in a relevant way while helping them connect with a relevant God. We desire to equip all of our teens so that they are passionate in their worship of God, their encouragement of one another, and their evangelization of their communities. We do this by teaching the gospel of Jesus Christ, exalting Him as our faithful example, and by relying on His Holy Spirit to guide and direct us in God’s Word. All teens are welcome in our group and we would love to answer any questions you may have about our group!